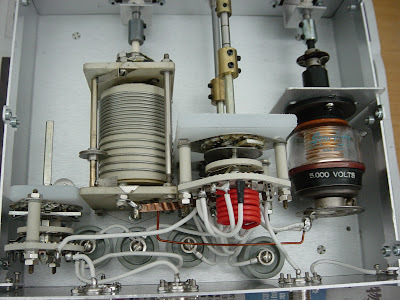 I always needed a "HEAVY DUTY" antenna tuner that could take about 2KW to match with my Heathkit SB-220. I have the Ten-Tec 238B which purchased many years ago, working fine without any problem. However, like to have another one connect to my second amplifier. 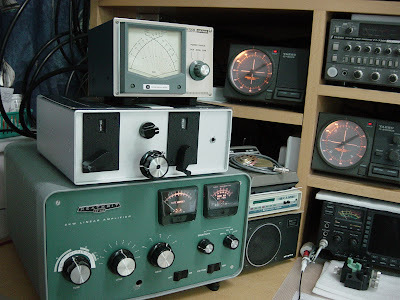 Since I have the 238B (L-Match) and thinking to use other tuning method. Finally I selected the modified "L-Match" network again for the reason that it has only two adjustable parts, one inductor and one capacitor, it make the tuning more easier. The tuning capacitor is a Jennings 500pf vacuum capacitor and the roller induction is from Jonhson 229 series (10uH), it is more than enough because I do not operate low band much. The case is from China, very nice and heavy duty, most important is very cheap. (around US$20 including shipping) and size is 110mm*275mm*250mm (H*W*L). With some effort over the weekend, it is almost complete except for some hardware, like the tuning knob and extender rod for the antenna switch. 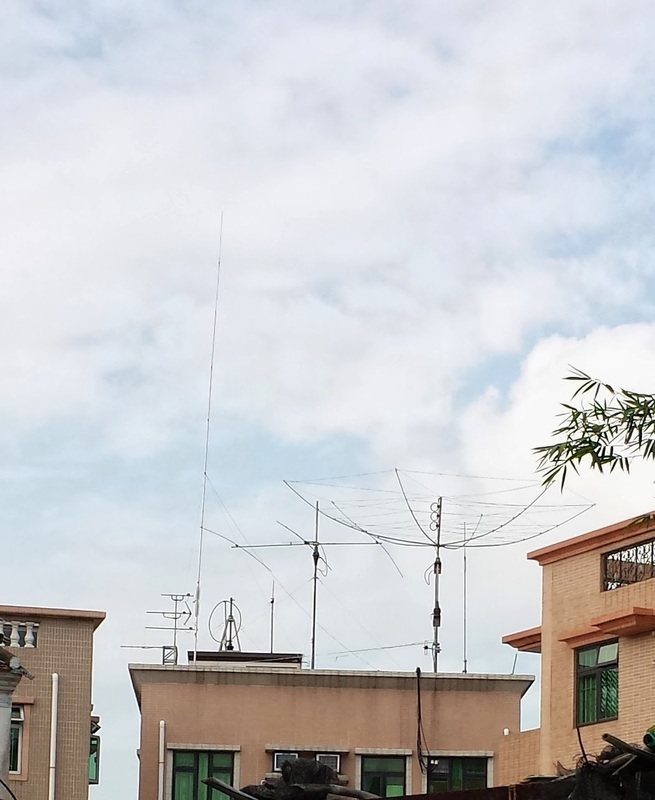 Tuning is very easy and all my antennas from 10M-40M.